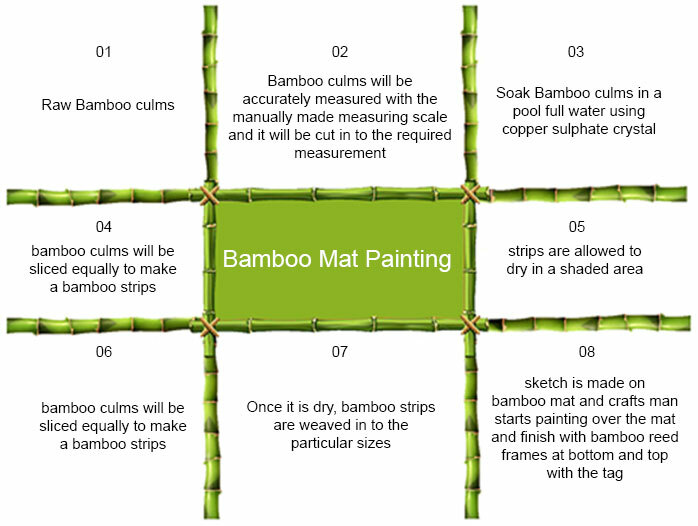 Crafts man chooses the bamboo culms for making mat and Bamboo culms will be accurately measured with the manually made measuring scale and it will be cut in to the required measurement. 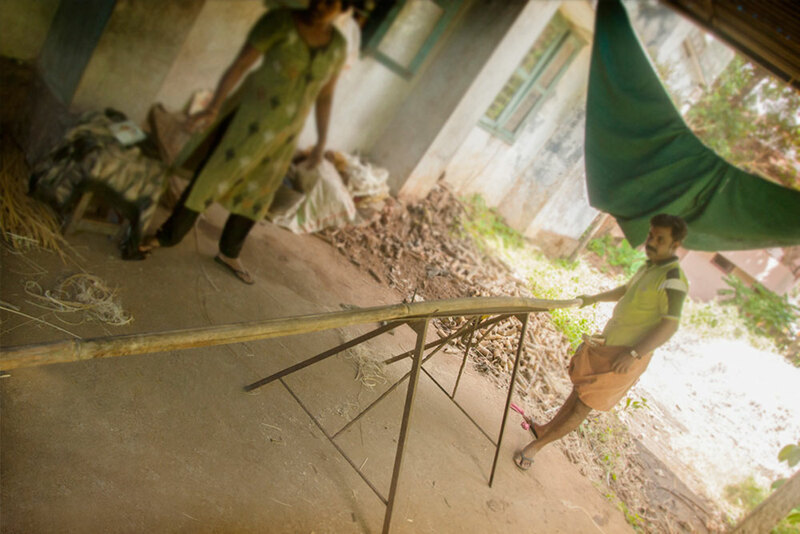 After cutting the bamboos to required size it is soaked in a pool full of water adding copper sulphate crystal, which is locally in Irinjalakuda known as thurish. 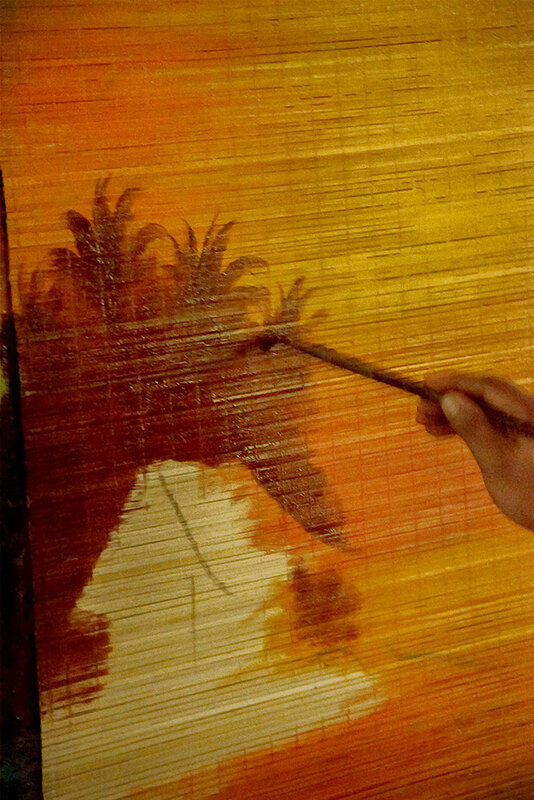 It is one common and simple method of preserving bamboo. 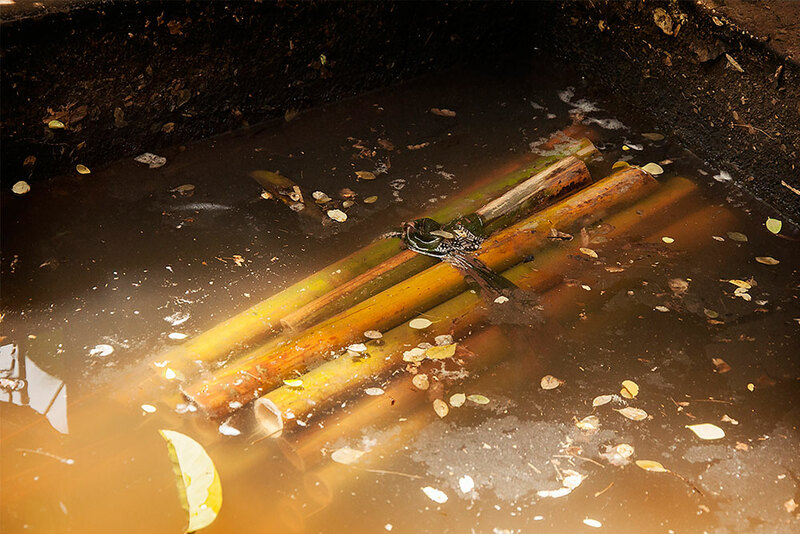 Soaking makes the culms more subtle and increases their resistance to cracking. 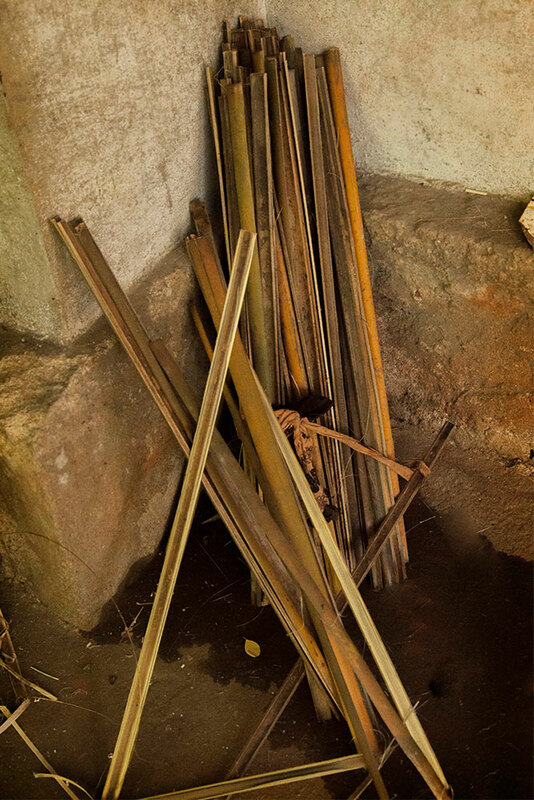 After the soaking process is completed, bamboo culms will be sliced equally to make a bamboo strips which will be later used by the crafts man for weaving the bamboo mat. 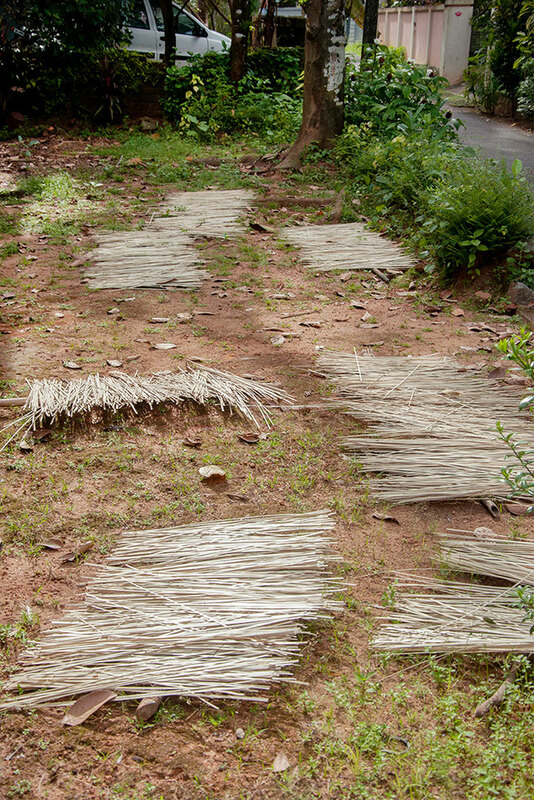 After slicing the bamboo culms, strips are allowed to dry in a shaded area. 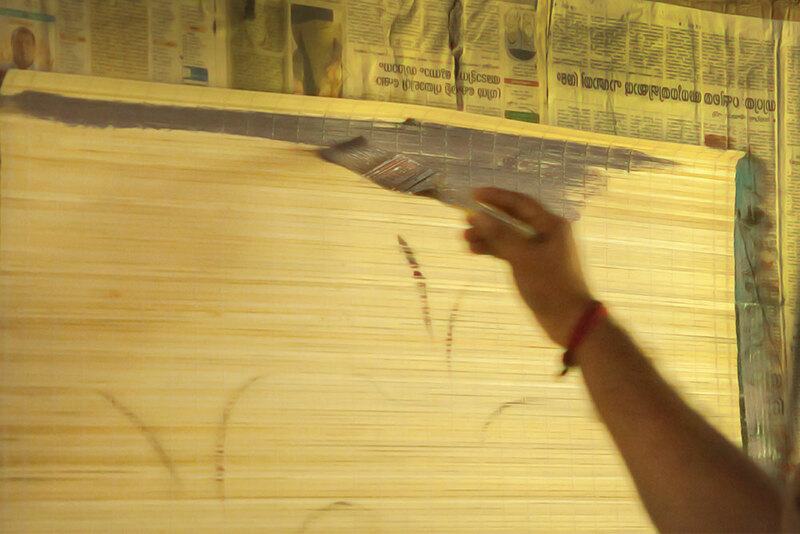 It is important to remember that the bamboo may crack if the drying process is too rapid. 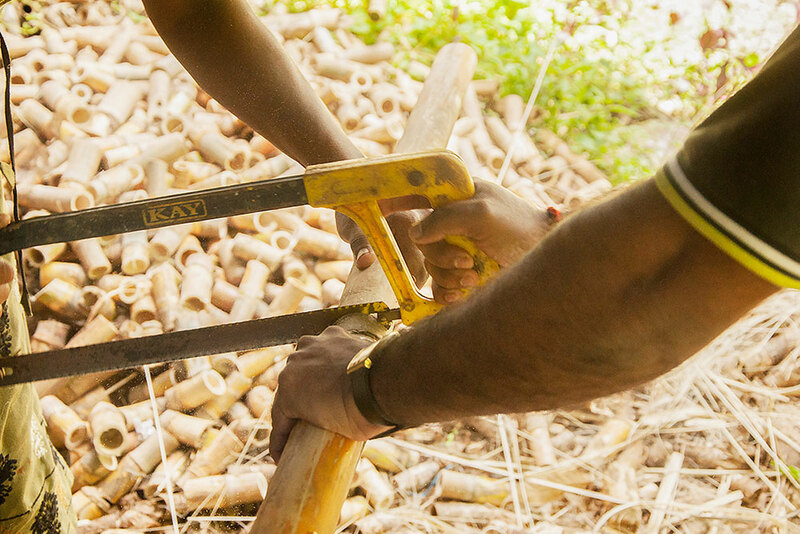 So protect the culms from heat and direct sunshine while they are drying. 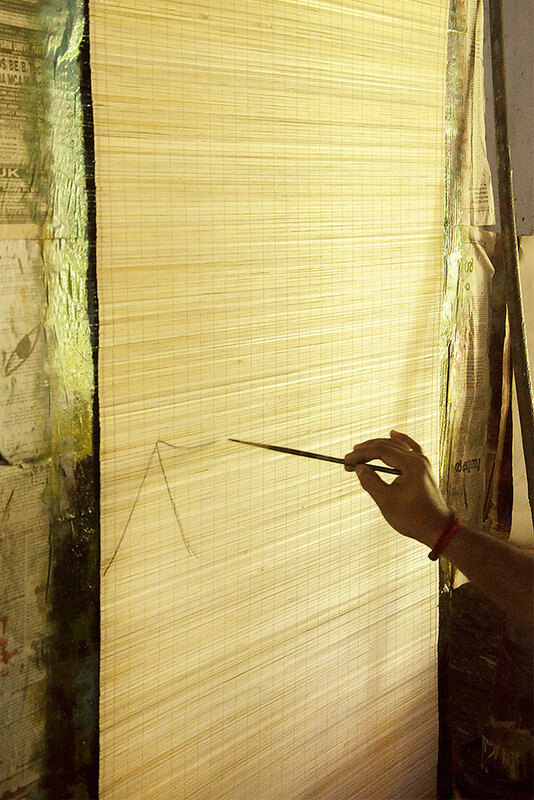 Once it is dry, bamboo strips are weaved in to the particular sizes. 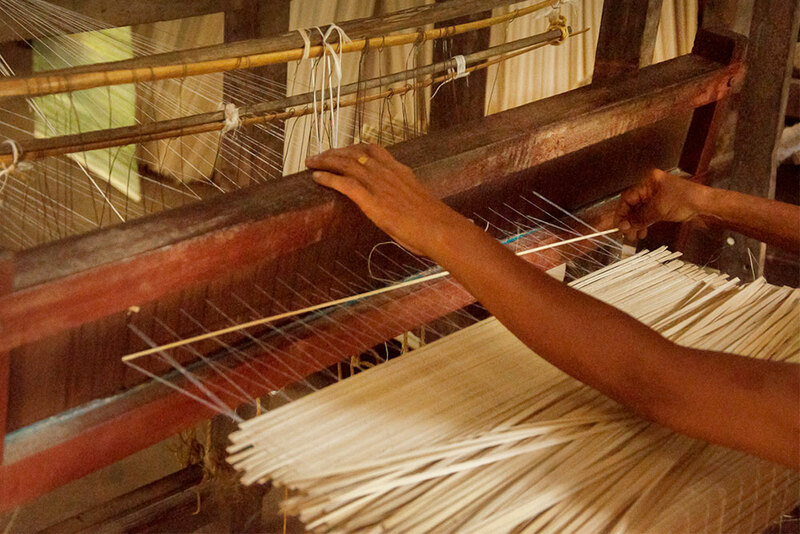 Once weighed the bamboo strips are woven using bamboo weaving machine to make bamboo mats, they weave mats in different sizes, i.e. 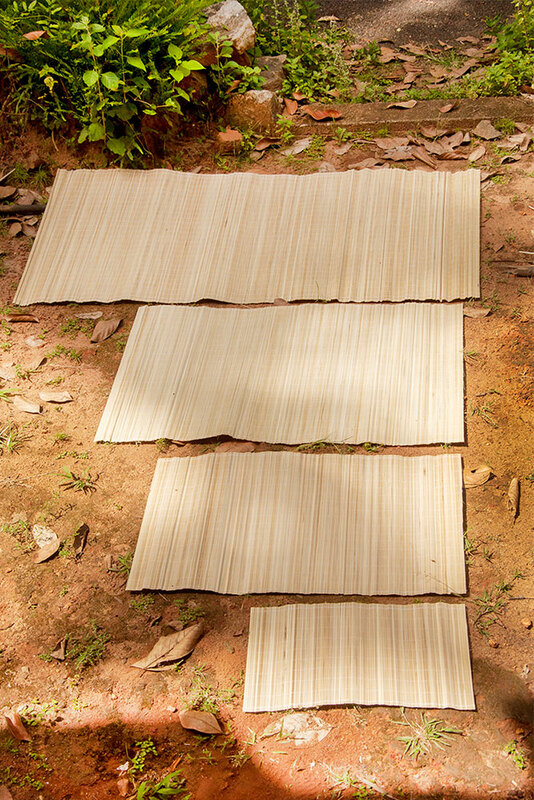 11 x 18’’, 15 x 24’’ and 30 x 60’’ and the excess waste is removed from the mat using burner. 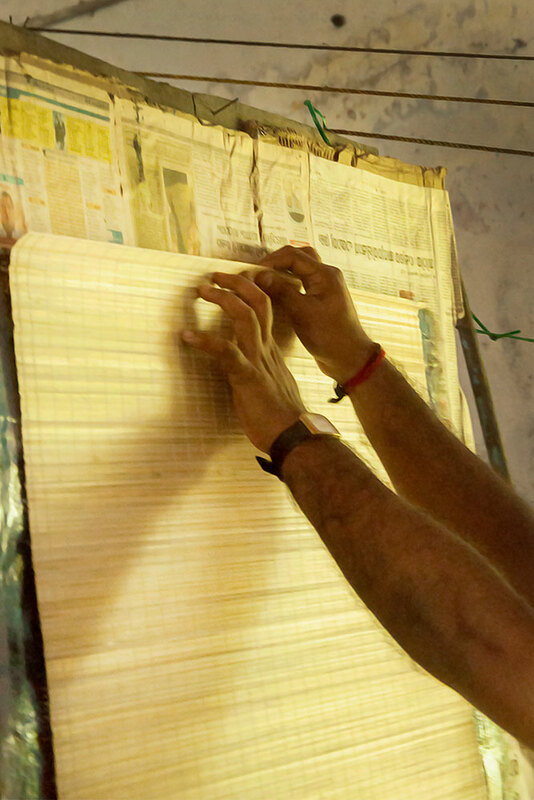 Mat Weaving: The town of Irinjalakuda is the leading center for bamboo mat paintings. 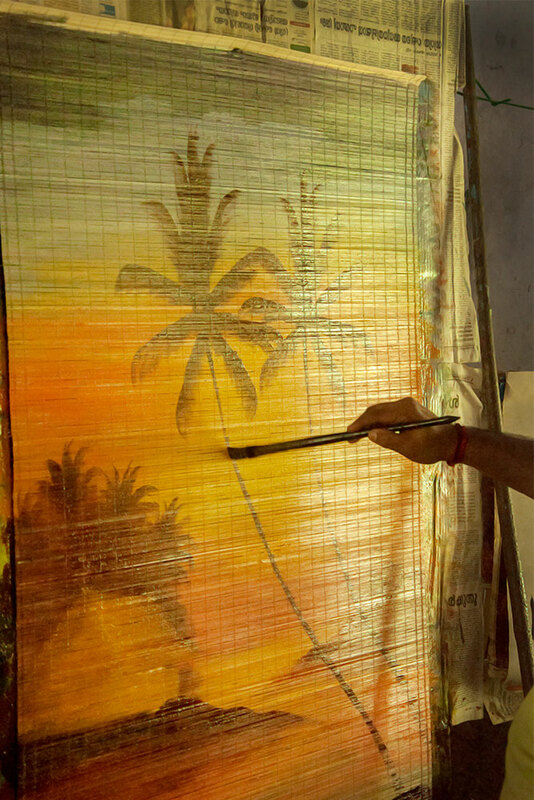 As bamboo grows abundantly in Kerala since pre-historic times, the arts of bamboo mats is state’s heritage. 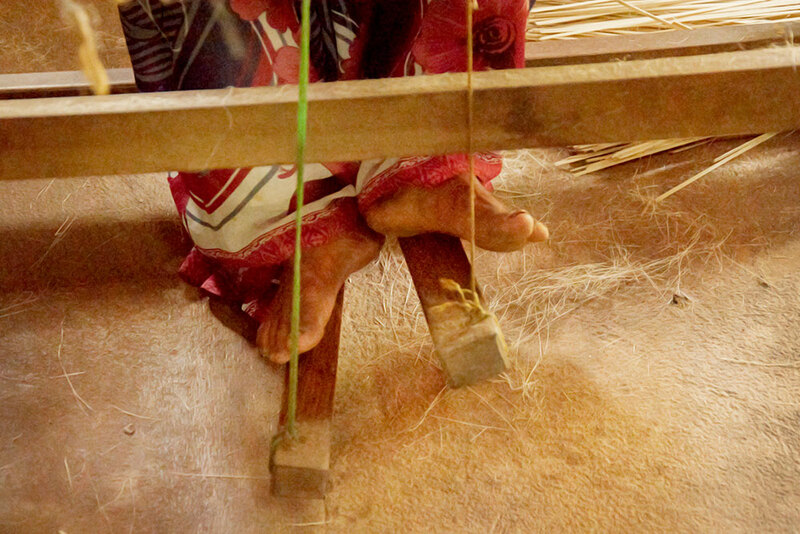 Mats are woven from bamboo silvers. 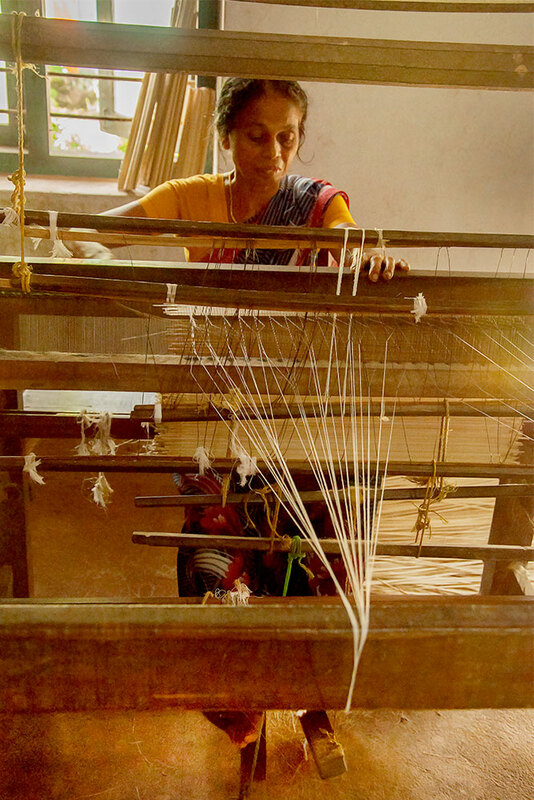 The weaving is done manually, mostly by women in rural areas as a part time earning to supplement family income. 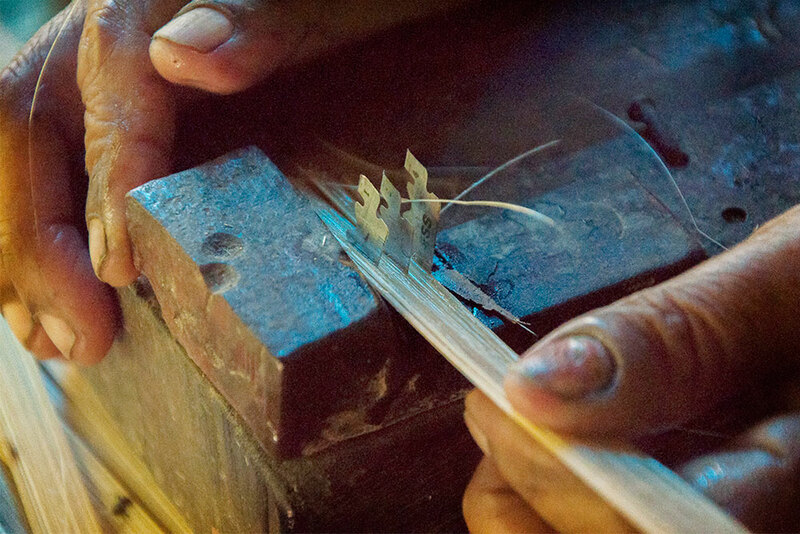 The dried silvers are manually woven in to different sizes. 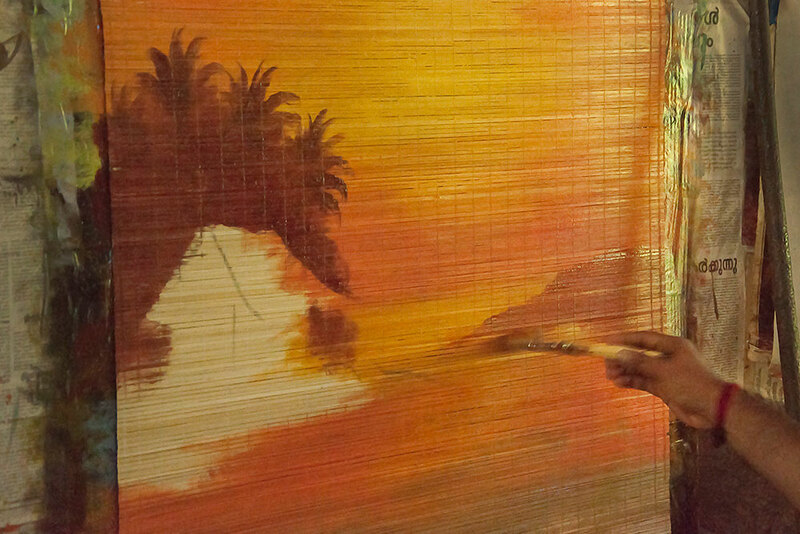 Bamboo Mat painting plays an important part of major industries like Deepthi Handicrafts in Irinjalakuda of Kerala state. 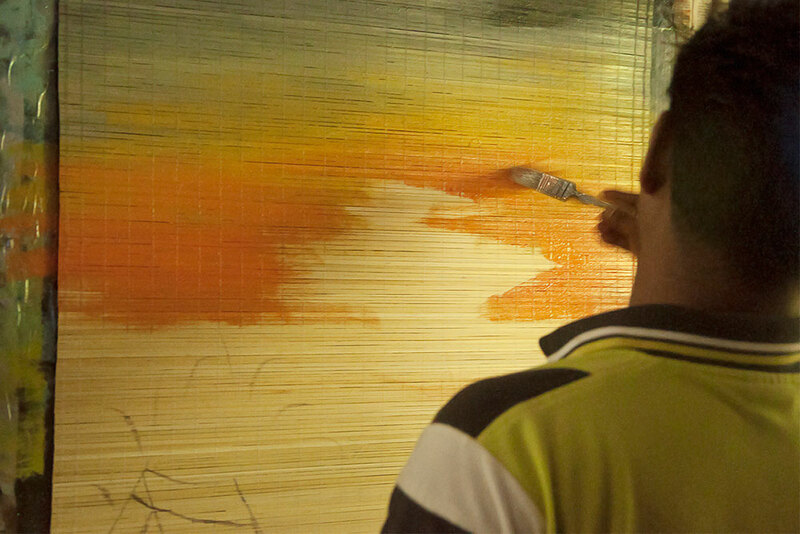 Bamboo Mat painting is one of the major craft that requires more concentration and devotion as well as an artistic mind for the craft person. 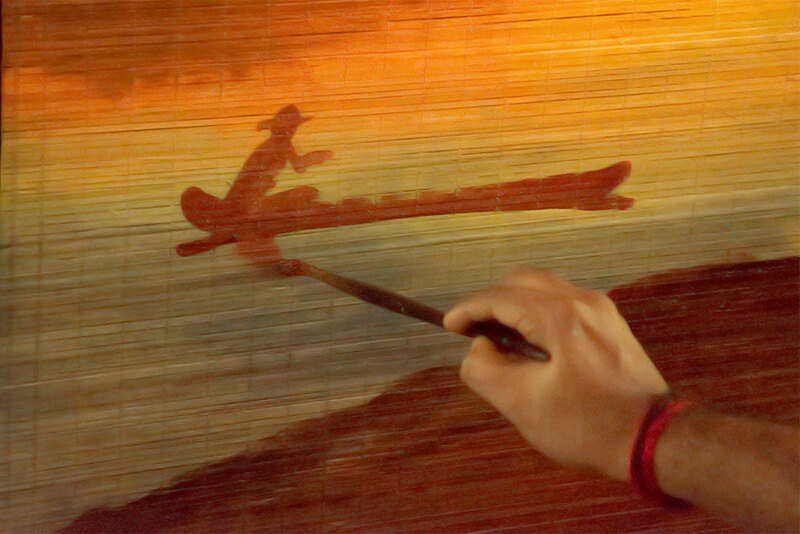 Most of the paintings are based on religious images, rework of raja Ravi Verma’s paintings, and Landscape paintings. 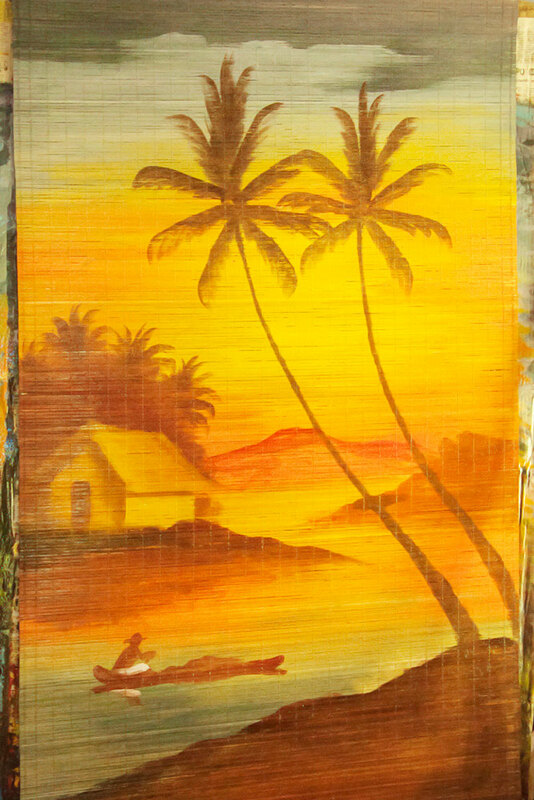 Bamboo mat paintings are made in 3 different sizes painted with attractive colours. 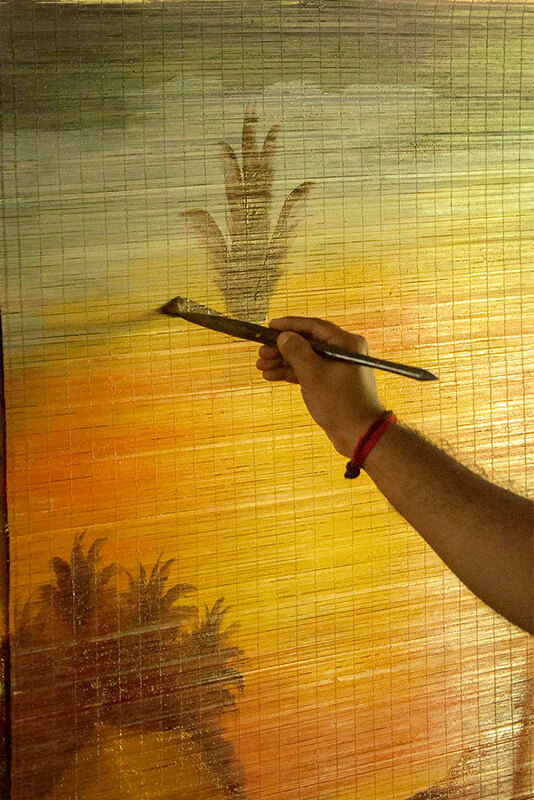 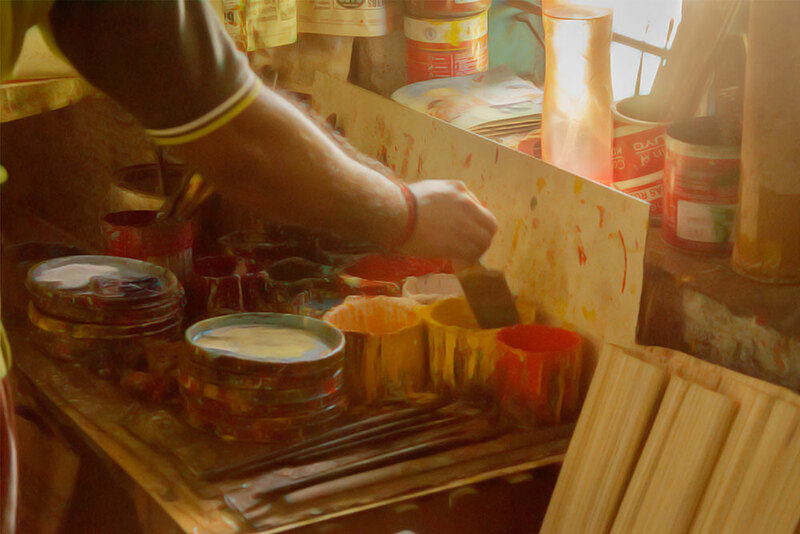 The crafts person initially make mat of required size which will be used by the artisan as canvas, and sketches on the mat, once the painting is done it is completed by framing it with reed frames at the bottom and hanging thread at the top.